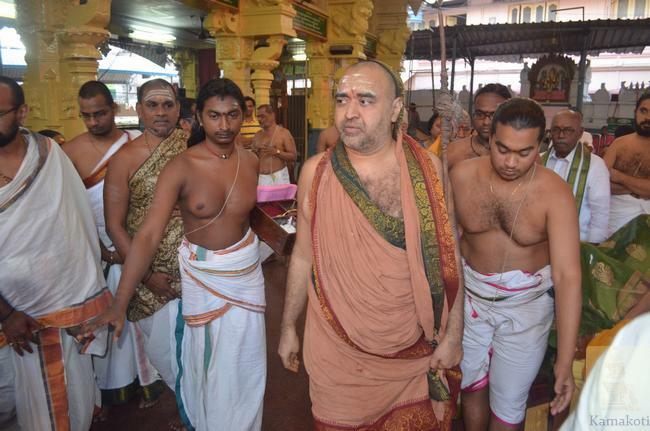 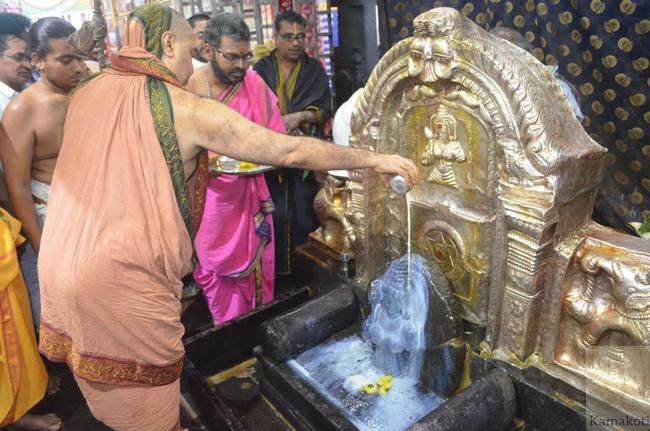 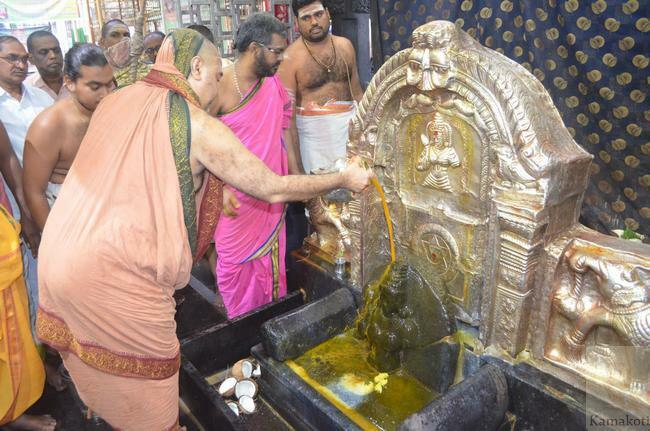 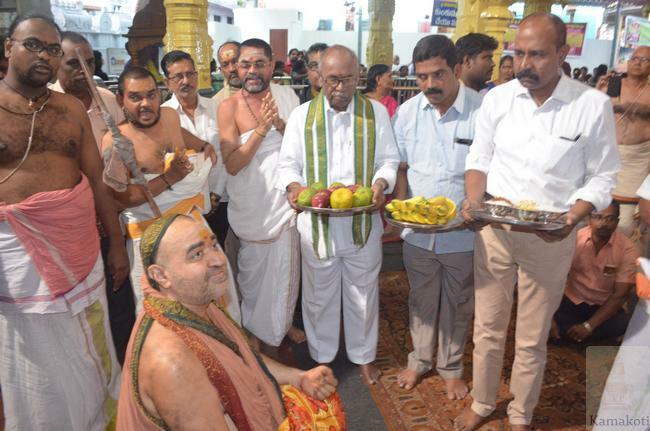 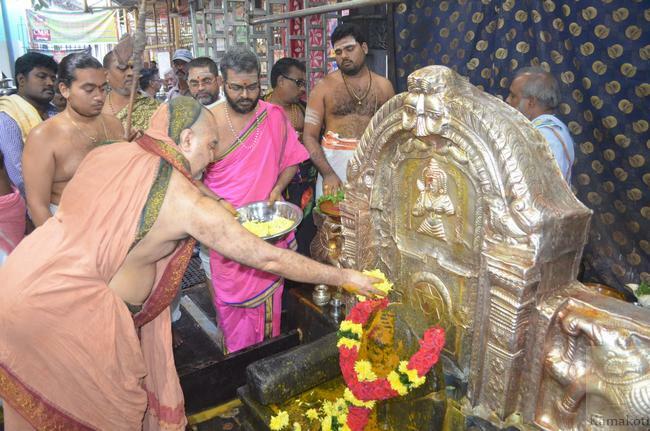 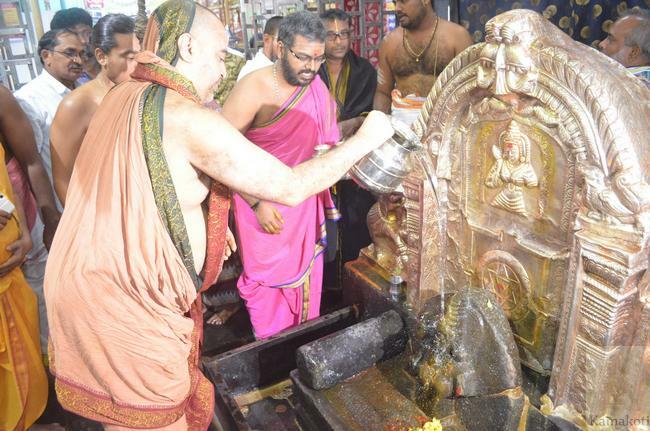 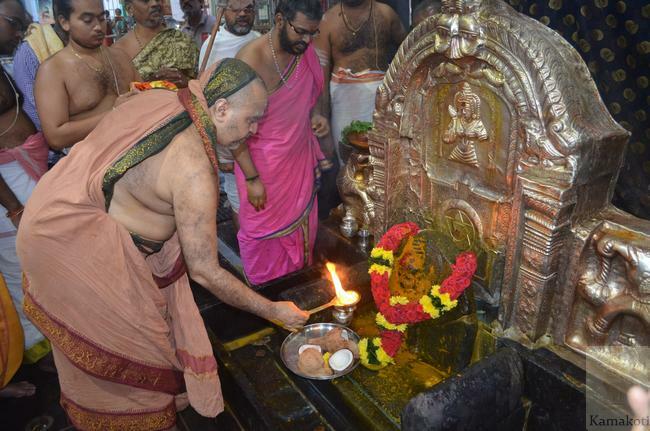 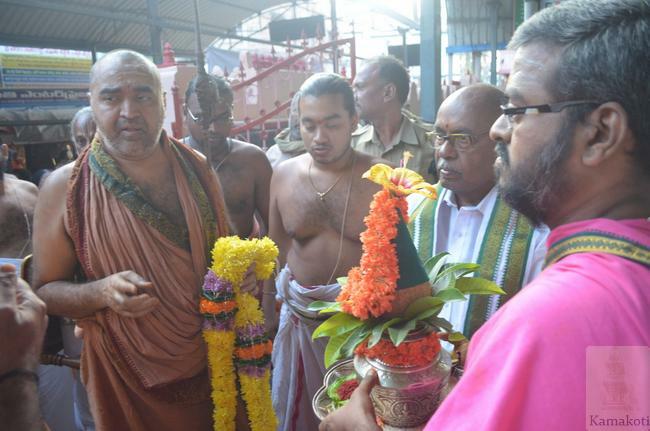 His Holiness visited Kanaka Mahalakshmi temple at Town area, Vishakhapatnam Old City. 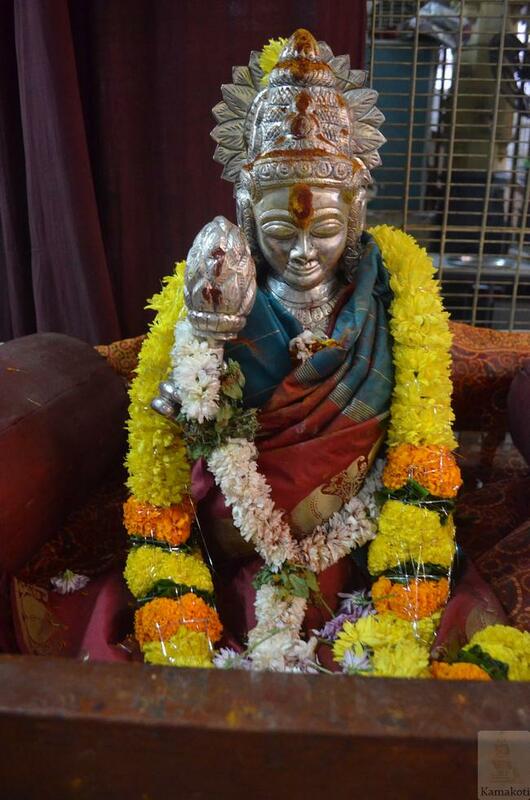 Goddess Kanaka Mahalakshmi is the presiding deity of Vishakhapatnam. 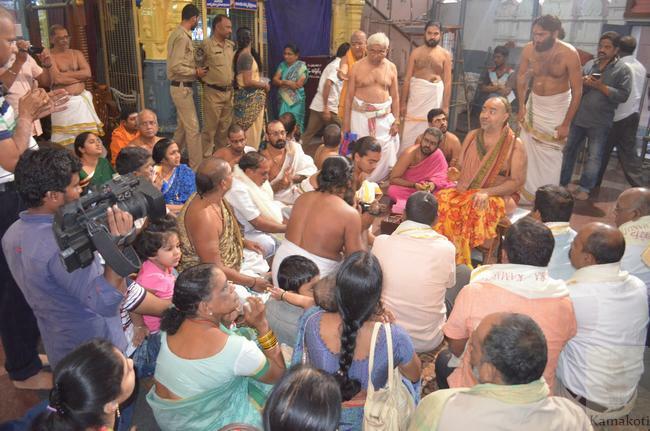 People throng in large numbers and have darshan of the Goddess. 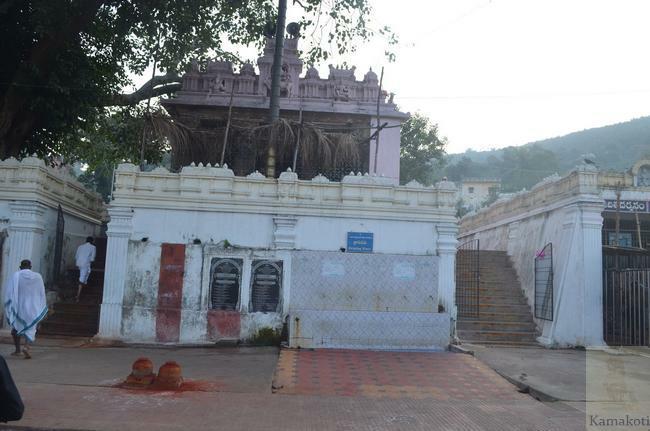 The sanctum sanctorum in not covered and is open to sky. 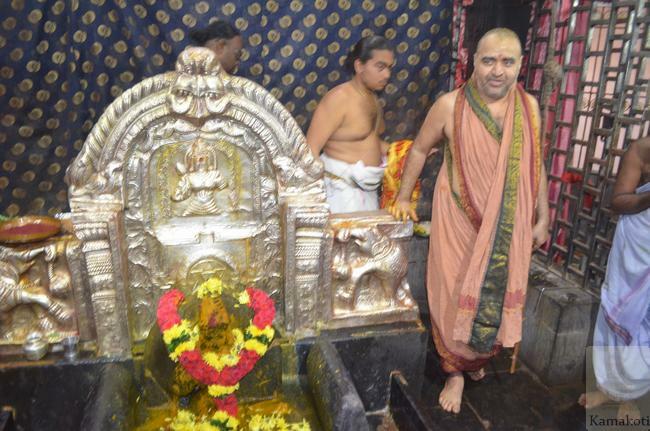 It is said that in spite of several attempts, the santum sanctorum could not be covered. 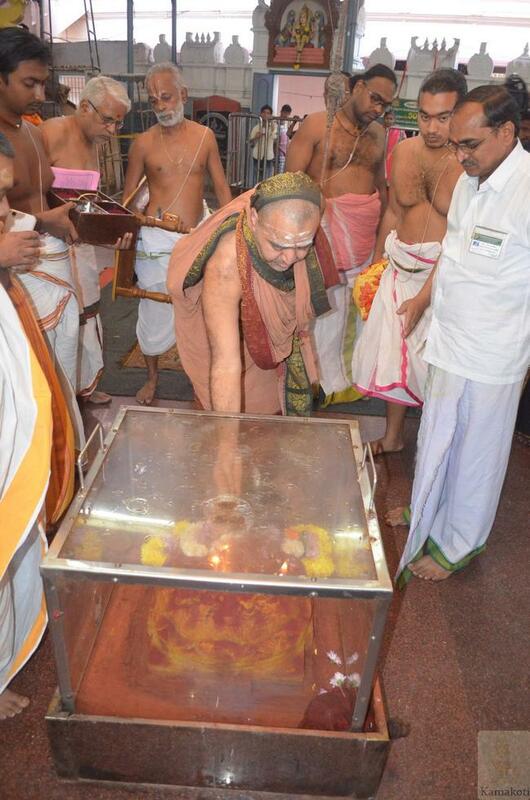 Several astonishing chronicles revealing the greatness of the Goddess are also mentioned.